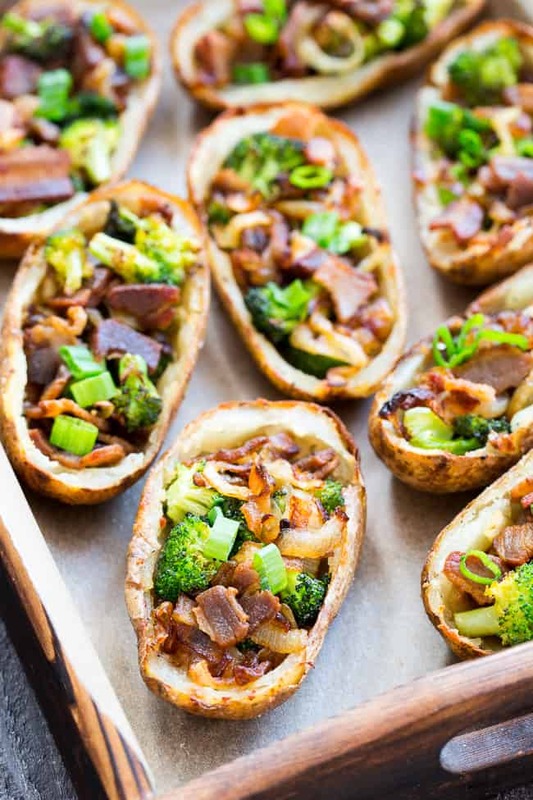 Yes – you can have crispy loaded potato skins while keeping things Whole30 and Paleo! 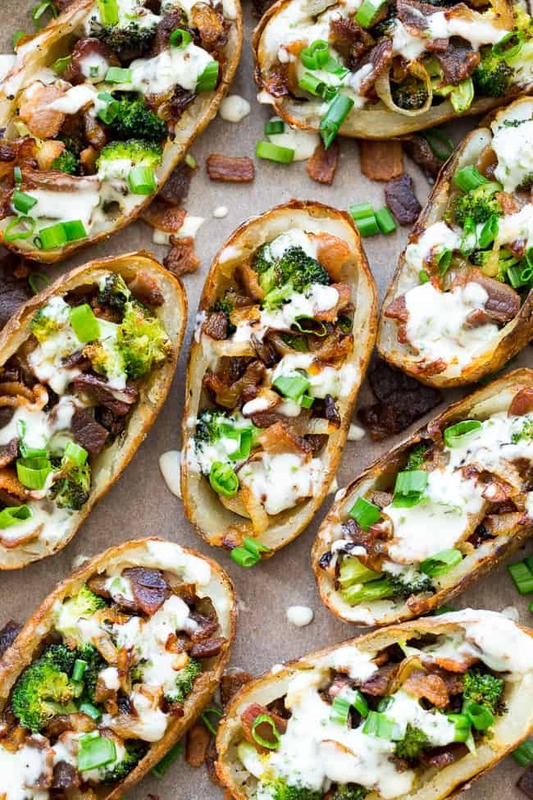 These crispy baked skins are loaded with roasted broccoli, caramelized onions, crisp bacon and topped with plenty of homemade ranch and scallions for tons of flavor with no dairy in sight. 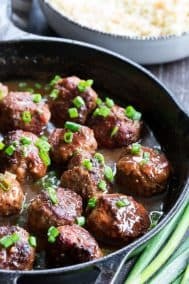 Great as an appetizer or side dish, kid approved, easy to make! I’m about to make you guys very, very happy – trust me. 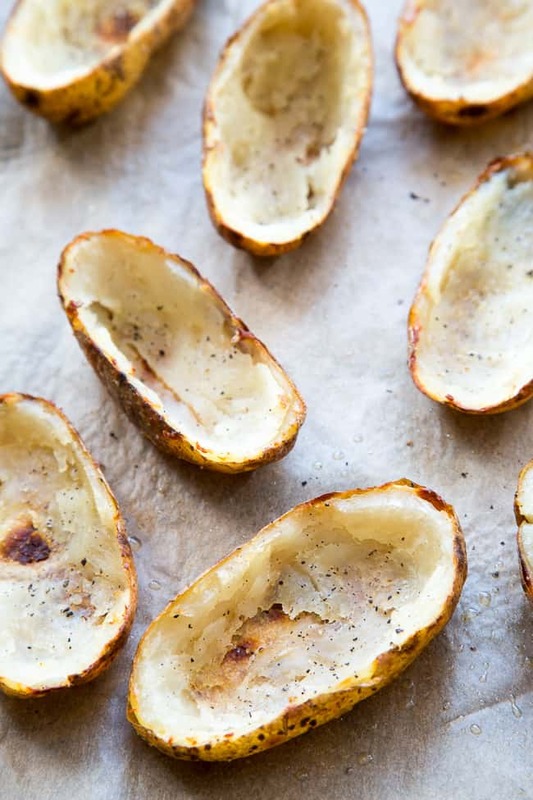 Assuming you do in fact make these crispy Whole30 loaded potato skins, that is! 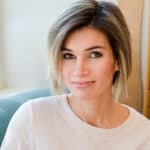 I had sort of a creativity block for, well, MONTHS on what to load into Whole30 potato skins to make them truly worthy of their own recipe on the blog. The ranch was sort of a no-brainer since it’s one of my favorite sauces/dressings, AND it’s basically MADE for potatoes. But other than ranch and crispy skins? I was sort of at a loss. Or maybe I was just being a potato skin perfectionist, but, I was really struggling with how to make up for the lack of…(dare I say?! )…melty cheese. And sour cream. 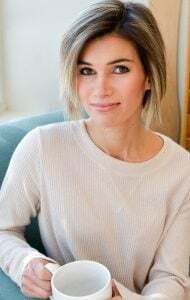 Honestly, it’s a lot to live up to – and I know – because it’s not like I was born paleo or anything. The memory of greasy potato skins covered in cheese, bacon, and sour cream isn’t all that far off in my mind. But hey – I know we can do BETTER than that! And we are about to, right here, right now, with these skins. Just you wait and see! Okay yes, we start out just like the traditional version with baked potatoes, cut in half lengthwise with all but a thin layer of the inside scooped out. I made mashed potatoes with my leftovers, just saying! In any case, you’ll save it for another use. Now, the filling is 3 separate things that come together oh-so-tasty! First, roasted broccoli. I roasted mine nice and crispy with a little salt, to get lots of flavor out of each bite. It’s my favorite way to cook broccoli, by far. Next, we have caramelized onions. Not just simple sautéed onions, but slowly caramelized onions which equals (once again) maximum flavor. It takes me 25-30 minutes to get the onions perfectly cooked this way, but it’s WAY worth it in my opinion! Of course, we won’t forget about the bacon. 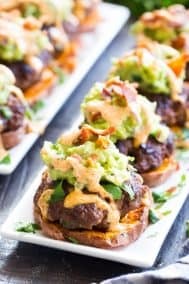 Sure, I guess you could go without it (hmm, then again maybe not) but I had to include it here, since potato skins are a FUN recipe, and, bacon is a way-fun food. Plus, if you’re using sugar free bacon like I am here, it’s Paleo and Whole30 compliant as well, so, basically it just cooked and crumbled itself, and landed right on our potatoes. Oh, and that rendered bacon fat does a mighty nice job of crisping up the potato skins before filling them too – again – just saying! Lastly, we have the ranch and lots of thinly sliced scallions to top everything off. They’re the perfect Whole30 potato skins, guys, that much I know is true! To go really wild (WILD) you can drizzle on a little hot sauce (Franks Red Hot Original is compliant) and maybe even add some avocado. The sky is your limit! Well, the Whole30 sky, that is. 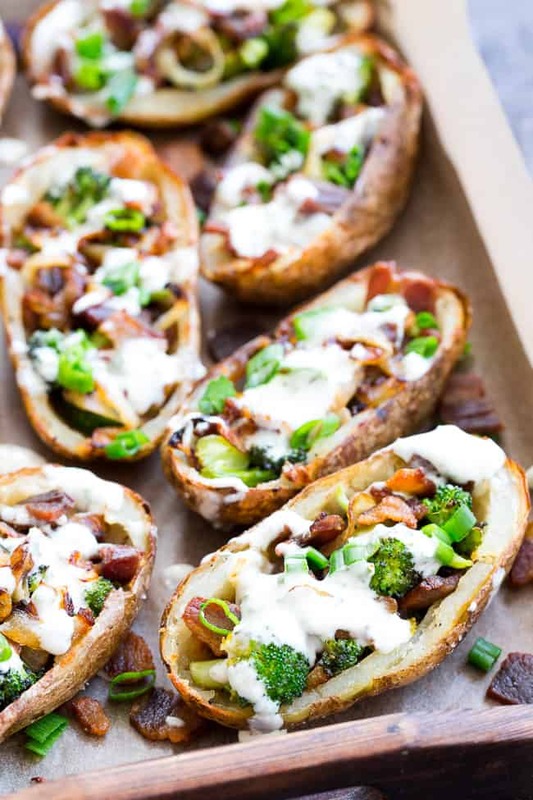 I know you guys are going to love these loaded potato skins – let’s get started! 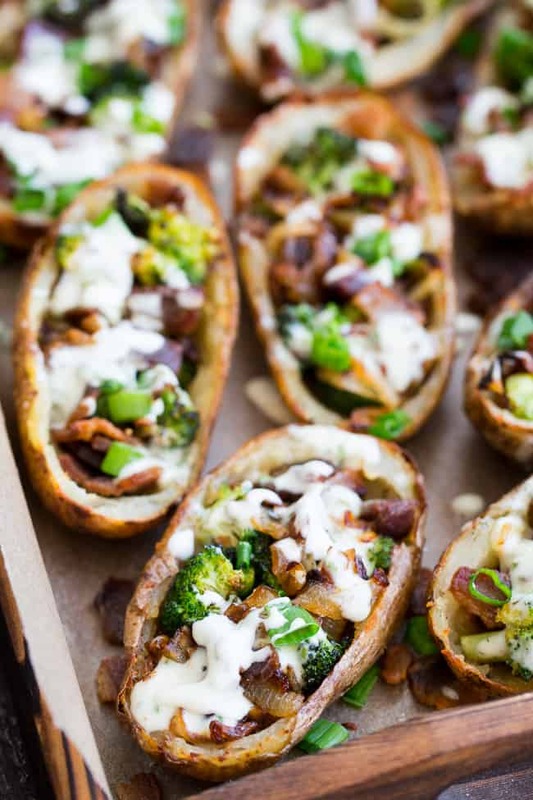 These crispy baked skins are loaded with roasted broccoli, caramelized onions, crisp bacon and topped with plenty of homemade ranch and scallions for tons of flavor with no dairy in sight. 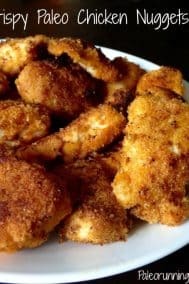 Great as an appetizer or side dish, kid approved, easy to make! 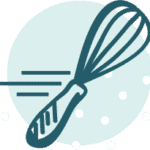 Scrub your potatoes and dry well, then coat each one with a thin layer of coconut oil using your hands. Sprinkle each one with a bit of salt all around and bake in the preheated oven 60-70 minutes until soft on the inside and crisp outside. Meanwhile, caramelize the onions. Heat a medium-large nonstick skillet over medium low heat and add the ghee to melt. Add in onions and stir gently to coat in ghee, then sprinkle with sea salt. Onions will need 25-30 minutes to caramelize fully. Keep heat on med/low or low if they brown too quickly and stir every few minutes to ensure even cooking. Once a deep caramel color, remove from heat and set aside. Next, roast broccoli - arrange in a single layer on a parchment lined baking sheet, drizzle with bacon fat and stir to coat. Roast in the 400 degree oven (along with the potatoes if still baking) for 15 minutes or until soft/crisp/browning. Remove from oven and set aside. *For a spicy kick, hot sauce is great! Use Frank’s Red Hot Original for a Whole30 compliant option. **If you won’t be serving immediately, save the broiler step and ranch/scallion toppings for when you’re about to serve. OMG! These look so good!!! Those look exceptionally tasty, and for me they would be SWYPO. 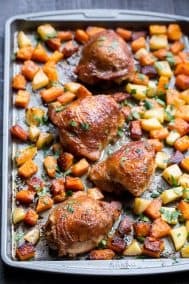 I have a terrible relationship with potatoes and I could see my really overdoing it on something like this, they are a gateway to food failure for me in any form of. I’m still grappling with the notion that potatoes are considered whole 30. They were added after I learned about whole 30. Of course the whole reason for W30 is to help us learn such things. For those that can eat those things and not go crazy…wow. Any other ideas to top them with? 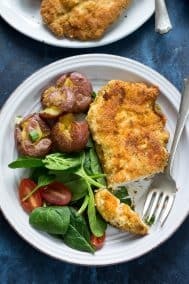 Made the Pork chops and apples – excellent but the Crispy Chicken and Mushrooms – were out of this world fabulous! 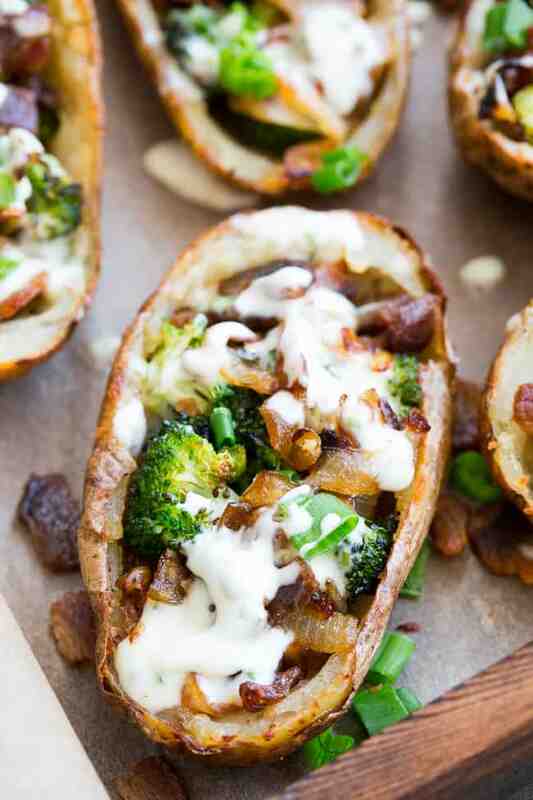 These stuffed potatoes look insane good! 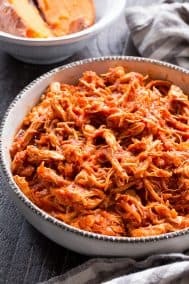 I can just imagine the flavor the caramelized onions add to this, such a creative idea! sometimes the best things in life take time, and you nailed it with this recipe. Love those caramelized onions! Hope you enjoy! Hi Michelle. 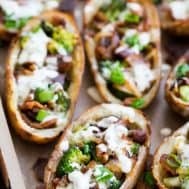 What are the nutritional counts for the Stuffed Potato Skins? I guess I don’t understand Whole30. I am doing low carb, so the carbs, fiber and sugar are of interest to me. I love your recipes! Carb count for my diabetic hubby, please? Made these last night! FANTASTIC!! I was going to post a pic but we gobbled them up too fast!?? Made these for super bowl yesterday…they were INCREDIBLE!!!!!!! So So GOOD! I used Tessamae’s ranch and franks hot sauce. Thanks! Sounds awesome! I’ve never tried Tessamae’s ranch, need to get some! Made these tonight for a fun Super Bowl family dinner. It was a big hit; everyone loved these skins and were surprised it was Whole30 compliant. It was a lot of work, though…and I didn’t even have to make the ranch because we already had the Whole Sisters Dump Ranch on hand. I look forward to trying yours another time.